...save this post to see it again then. Because no matter how bad you feel, some of the people in this list are even worse than you. 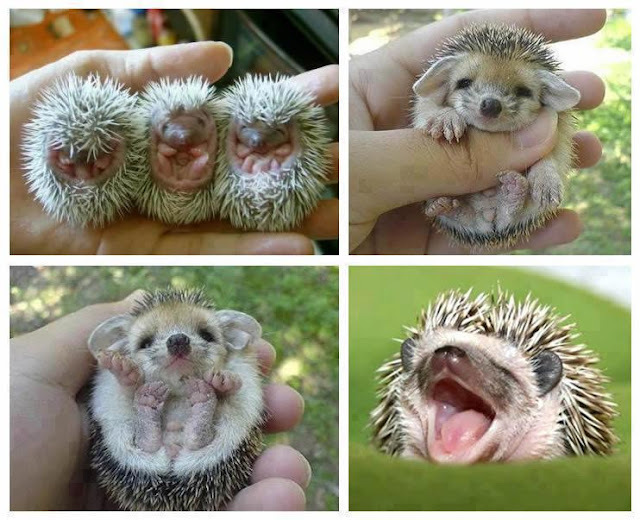 Also for when you are sad... baby hedgehogs... Awww! Everybody is asleep at home and I'm laughing out loud!! To me, the most impressive -made me gasp- was #10. Terrible! It didn't make me happy but brought some comfort to see that there are other people more ridiculous than me... Haha. Thanks for your comments, PC, always so gentle and nice. :-) Enjoy!